This week has been lovely as hubby has been on holiday all week. Little M loves having him around all day, every day and it’s been really nice having some family time. We’ve been out for some nice walks and on Friday we threw caution to the wind regarding Little M’s nap schedule and visited the zoo! Yesterday, somehow, we ended up inviting both sets of Little M’s grandparents to the beach for a walk. It all went a bit pear-shaped as we traveled in three separate cars and Little M decided she wasn’t going to nap in the car on the way there, despite the fact that we’d strategically planned the journey time to coincide with her nap time. She fell asleep around five minutes before I parked up. Sigh. 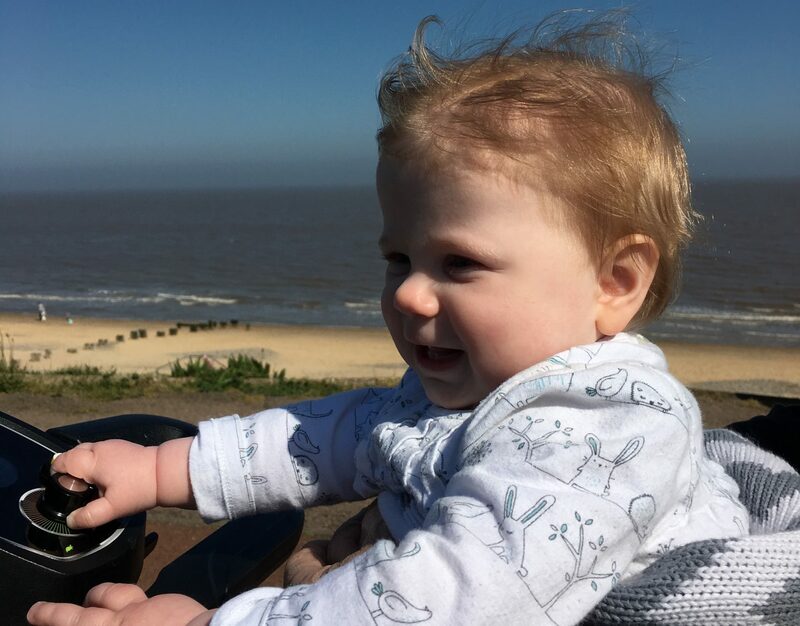 Anyway, eventually we were all in the same place, and today’s Living Arrows photograph is of Little M sitting on her grandad’s knee at the controls of his mobility scooter. She isn’t moving, of course, but I love the way the wind in her hair makes her look rather like a Hell’s Angel! We kept telling ourselves that Little M would probably sleep on the way home but of course she didn’t; until we were five minutes from home, that is! So I took a bit of a diversion into the south Norfolk countryside to give her another 30 minutes in an attempt to stop her from crying her way through dinner. Fortunately, it worked! We’ve now got another week of school holidays to look forward to before hubby and I have to go back to work. Let’s hope this sunshine sticks around!